The Outhere Brother say “Boom boom boom let me here you say way-ooh (way-ooh)” New York Comic Con 2018 is just over the horizon and Tenacious Toys Collective are already preparing some HEAT! 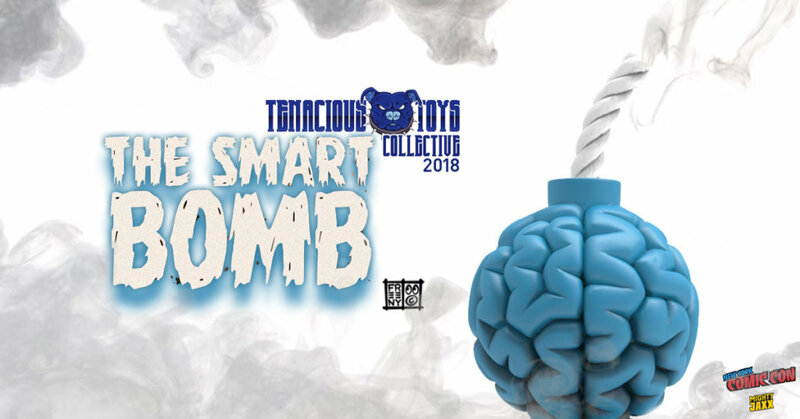 One of many exclusives have been teased and one is the “Smart Bomb” TT Blue New York Comic Con edition by Jason Freeny x Tenacious Toys x Mighty Jaxx. “Smart Bomb” which brings a mad and fictional storyline to go along with the release (read it HERE) It would be great is the Smart Bomb would really be A CURE FOR STUPIDITY. 4383972 strands of hair loss. 107 broken test-tubes. 29 shattered flasks. 2 mad scientists. 1 Smart Bomb.